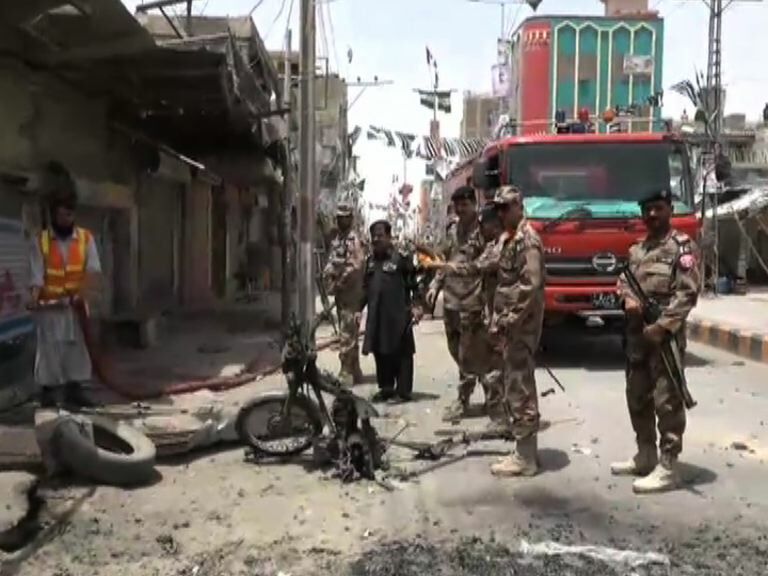 A blast on Mall Road in Balochistan’s Chaman area on Friday left at least five people injured and nearby shops and cars damaged, police sources told . The wounded have been taken to Civil Hospital Chaman, police said. Chaman Station House Officer Gul Muhammad said a vehicle belonging to a law enforcement agency (LEA) was the target of the blast. According to administration officials, the blast was caused by a remote-controlled motorcycle bomb parked at the side of the ride. The bomb was detonated when the LEAs’ vehicle passed by. The impact of the blast broke the windows of nearby shops and vehicles. Police, Levies and Frontier Corps officials have cordoned off the site of the blast. The latest attack in Balochistan comes exactly a week after a suicide blast in Mastung targeting a Balochistan Awami Party corner meeting left 149 people ─ including BAP leader Siraj Raisani ─ dead and scores injured. Today’s attack, however, does not seem to be targeting a political party or election campaign.